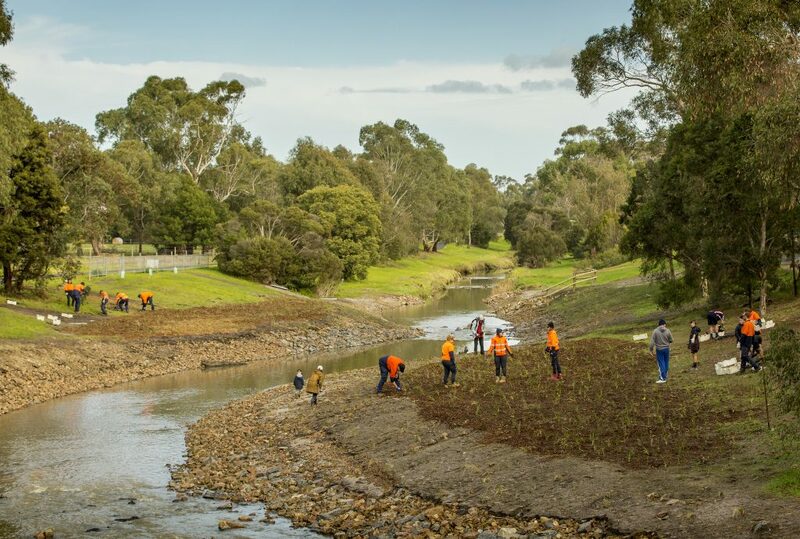 Over the past five years, our Living Links partner Melbourne Water has worked with the local community and a wide range of stakeholders to deliver a remarkable project: the ‘daylighting’ of Dandenong Creek. Daylighting involves bringing the flow of the waterway out of the underground concrete pipe and replacing this with an open, flowing channel that more closely resembles the original shape and form of the creek. The result is a much more natural and scenic vista that provides better quality habitat for flora and fauna, and better natural amenity for the community to enjoy. 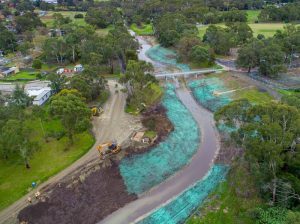 This project involved the removal of an 830m piped section of the Dandenong Creek between H.E Parker Reserve and the railway line in Heathmont. 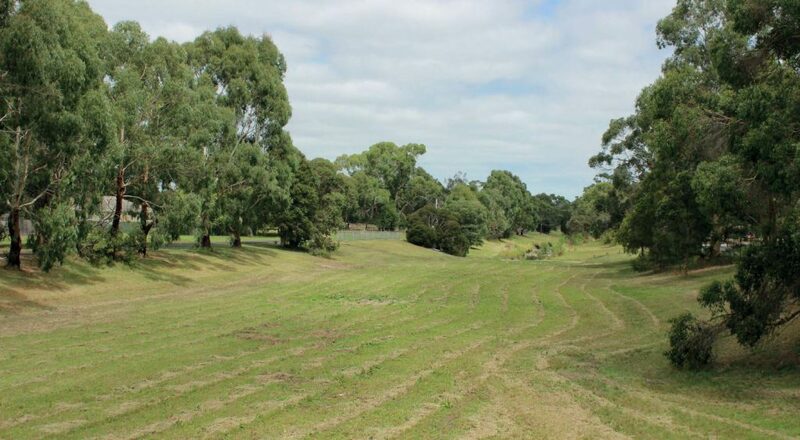 The project commenced in 2015 after the Natural Amenity Working Group (made up of representatives from local councils, community groups and the PPWCMA) identified it as a priority action. Following extensive concept design and technical analysis, construction works began in December 2017 and were completed by the following July. The area was then planted out during a community tree planting day in July 2018, where 3800 native plants were installed. As these plants continue to grow, the area is being gradually transformed back into a much more natural and beautiful waterway (see the 10-year vision below). For further information or to get involved in shaping future works through the Enhancing Our Dandenong Creek program, click here. View the progress of the daylighting site below.